Although best known for the range of backwashing filters, TC Filters can offer a good range of filter cartridges, bags and housings. 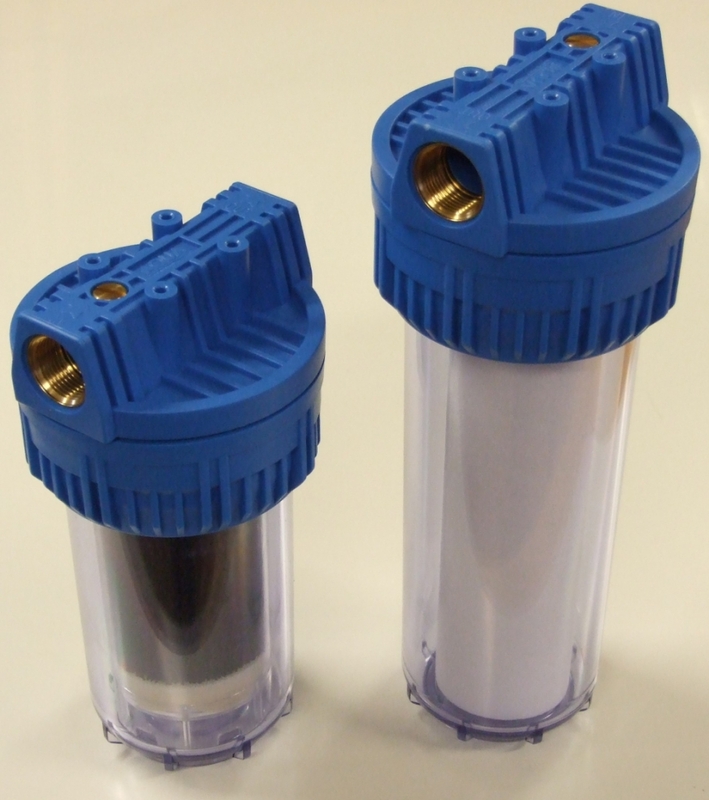 These can be simple disposable cartridges, or other types of filter to help remove taste and odour, or cartridges containing softener resin or phosphates to help with hard water areas. These filters are often offered as back up or additional treatment following our automatic filters. TC Filters can offer many different types of filter bags, cartridges and housings. Please contact us for a quote. This unit, (as used in our seawater filter) can be fitted with a large cartridge filter, or a bag filter. It can also be fitted with four of the "zero gravity" filters if needed. It has 3" fittings in and out, and a simple toggle clamp a the top for simple access to the filter inside. There are many other bag filter housings available. Please contact us if you have a specific requirement. To return to main page, click here.